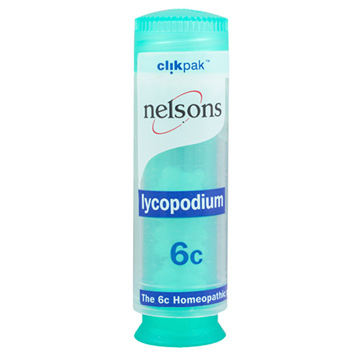 This remedy is pronounced Lie-co-podium and the 6c potency is for most common or long standing ailments. It comes from wolf's claw club moss - the spores of which are powdery and float on water. 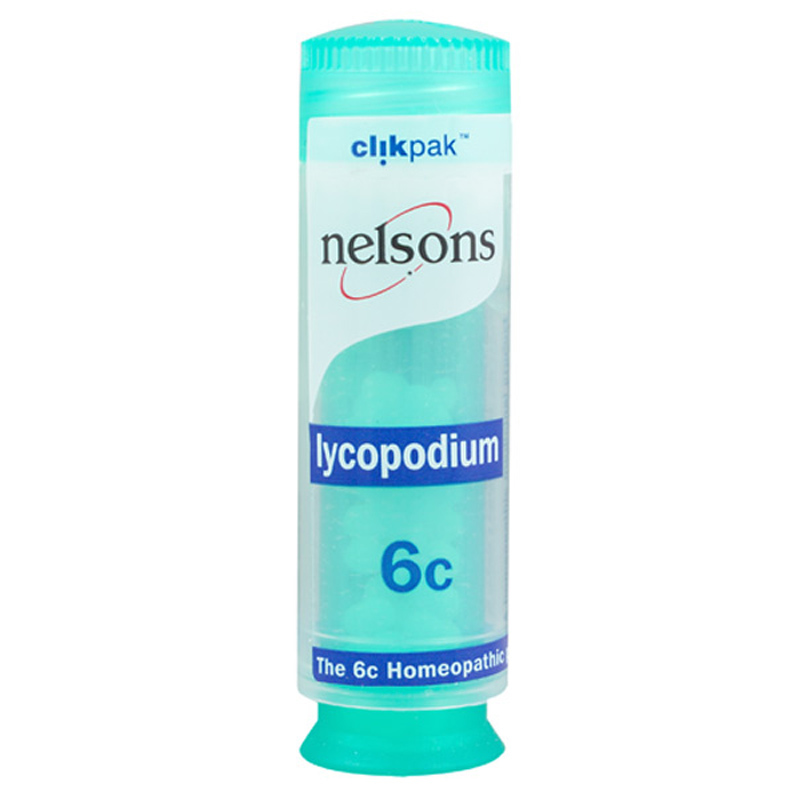 Nelsons Lycopodium is a homeopathic medicine available in both 6c and 30c potency. 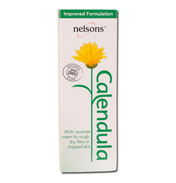 Homeopathic remedies are extremely delicate and should be protected from environmental influences such as chemicals and light. They are best stored in their original containers in a dry cupboard,away from direct sunlight and out of reach of children. 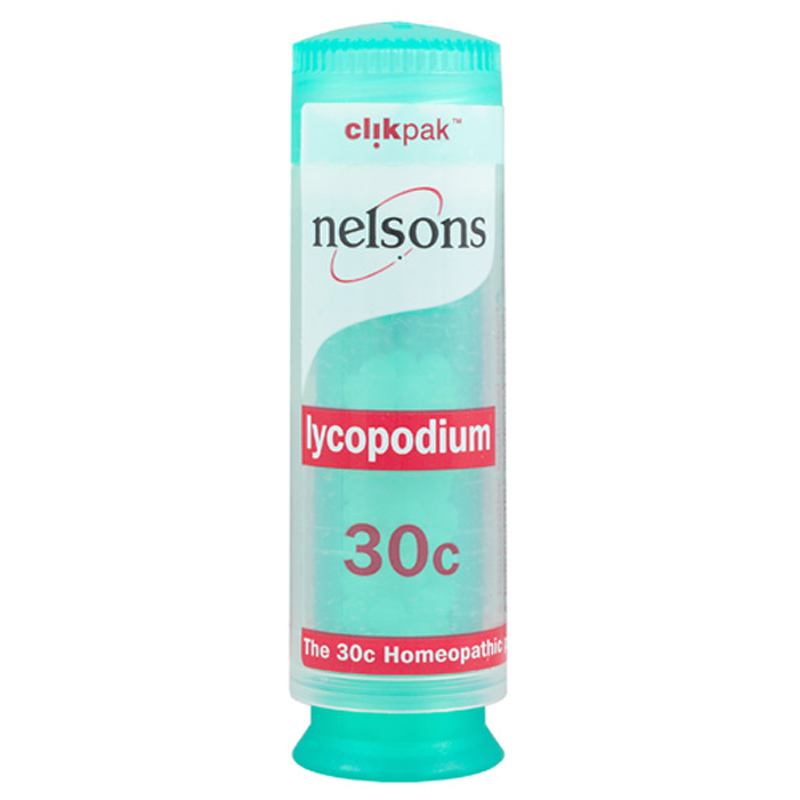 Homeopathic remedies should always be taken on a clean palate, at least 15-30 minutes before or after eating or drinking. 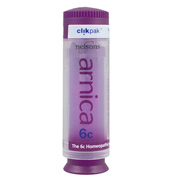 Never handle homeopathic remedies directly as this may reduce their effectiveness. 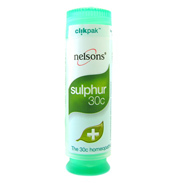 Ensure that your mouth is free from strongly flavoured substances such as coffee, tobacco and mint. Keep all medicines out of reach of children. If seal is broken do not use. Store below 25C. Minimum 84 sucrose/lactose pillules in a glass vial. 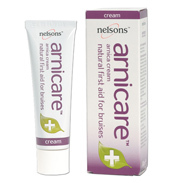 A homeopathic medicinal product without approved therapeutic indications. HR1175/0067. 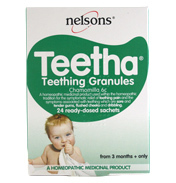 Pregnant women should consult a doctor or practitioner before using homeopathic remedies.